Let’s face it, though we may at times like it, though we know that it has a lot of advantages, studying is not always something you look forward to. 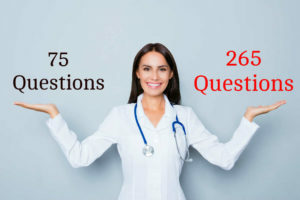 However, since you are working towards a goal, becoming a Registered Nurse, that is, you should still do whatever it takes to learn as much as you can and to pass the NCLEX. It’s finally the time that you are worthy of the RN title, but for now, you have got to deal with some things that may make or break your dream: your study habits. Yes, it’s always fun to learn things with friends, studying included. You may find this a bit odd, but you may even learn about nursing concepts easier when you discuss with it others rather than just studying alone. Find a study partner, create a study group, whichever you prefer. Group studying helps you to engage and process the information more deeply. However, you may also be prone to some distractions when studying in groups. And since conversation may lead to other topics deviating from nursing and anything related to it, make sure you limit those distractions. When studying, only tackle about issues and things related to the concept that you are studying about. Play and act as a teacher and discuss the topic that you have studied. If you were a teacher, how would you explain the concept to your student in ways he/she can understand? You may think you look weird, but who cares? Through such, you will be able to recall the topic better and easier. Link Courses to Daily Life. Spend some time each week looking for practical ways you can use the information you are learning. How would you apply the concepts in reality? If you can find situations from your daily life or even during clinical duty that are similar to your subjects, they can go from abstract theories to concrete tools. Set periods of time that you will spend studying each day. Program yourself to study at a specific time. After a month of doing so regularly, it will become automatic. Regular studying times prevent the need for cramming and can give you consistency in your schedule. Don’t just work, work and work. You need to have balance in your life, too. Set times for relaxation and rest for your brain. Compress your work and studying into the weekdays and mornings so you don’t need to work all of the time. Good habits also involve taking time for rest as well.